Every serving of assault is loaded with 2 grams of patented Carnosyn Betal-Alanine, along with ION-3 Nitrate Technology nutrients. Experience enhanced strength, endurance, muscle mass, and overall improved athletic training capacity. The added PURENERGY ingredient gives you focus and energy that lasts up to 8 times longer than normal caffeine, without the typical crashing sensation. 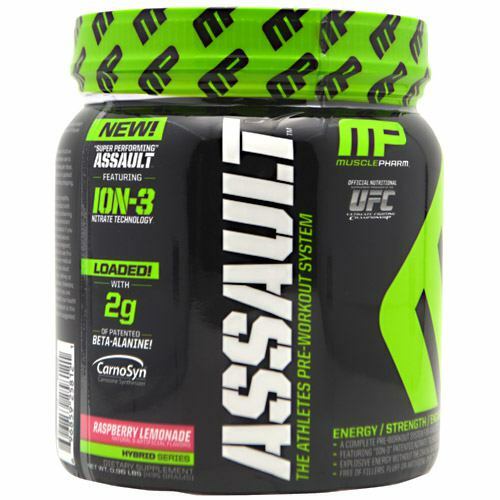 Step up your game and try Assault today.